In the early days of search engines, websites used keyword stuffing to help increase their ranking. We’ve started to see this more and more in CVs and resumes where candidates try to “trick” ATS systems. As an example, someone targeting an IT Engineer role might “hide” the words “IT Engineer” (and relevant keywords) multiple times in white text so it’s invisible to a human, but will show up in an ATS search. We’re not going to lie – white text has sometimes been found to work. However, we strongly advise against it (particularly if applying for a role in ethics). If you are caught out, a potential recruiter might think you’re a cheat and that’s not a good impression to give. We spoke to a recruiter who knows how ATS systems work. They told us: “I can spot white text a mile off. I’ll then bin that CV for a candidate who isn’t trying to cheat the system”. Transparency is the best policy when it comes to explaining gaps in a CV. Not explaining gaps is worse than trying to ignore them. Instead, give these periods an official "title". If you were training, say this. If you were on maternity leave, tell the recruiter. Maybe you were travelling or just took time out due to illness or the death of a family member? These are all good reasons for being out of work and can be discussed further in an interview situation. This is one of the most obvious, but you'll be surprised how common it is! Proofreading your own work is difficult. 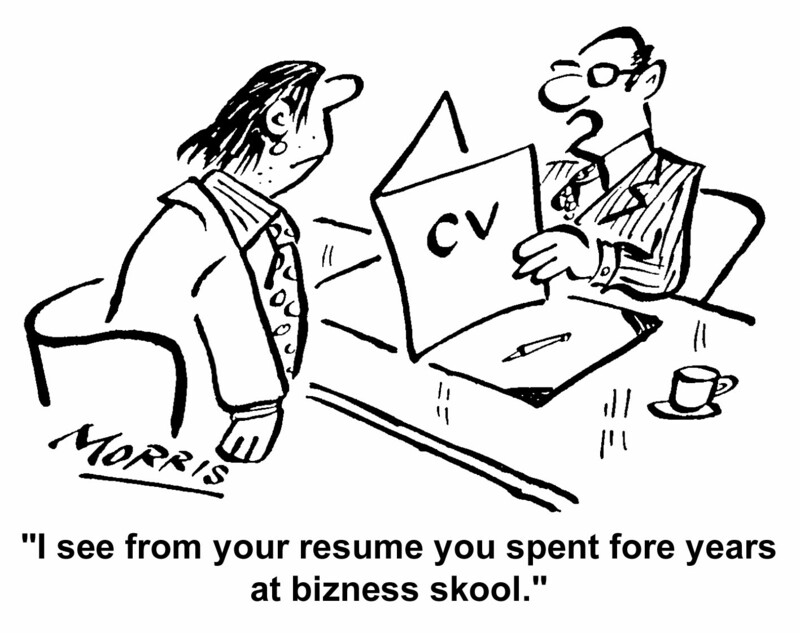 Instead, ask a friend or family member to give your CV the once over. 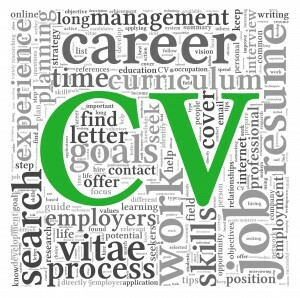 As we state in our article on writing a good CV, there’s no need to mention personal details, including: date of birth, marital status or inside leg measurements in a CV when applying for a UK-based position. This rule doesn’t apply in some areas, including applications in the Middle East, where it’s a requirement to mention your date of birth. As you already know, accuracy is imperative when writing CV. Incorrect or inconsistent dates could confuse (or even frustrate) a recruiter. When scanning potentially hundreds of CVs, a simple error in dates could be the deciding factor in you not reaching the shortlist. Unless, you’re applying for a role in social media, there’s simply no reason to include links to your Facebook or Twitter profile. While we’re on the subject, take a moment to read our article on unprofessional Facebook traits to avoid on LinkedIn (recruiters don’t need to see what went on during your recent holiday). Ignore people who tell you to only go back ten years. This simply isn’t true. If the bulk of your recent experience is in IT Engineering and your early career was in sales, then by all means remove (or even just summarise it). However, if you’re an IT Engineer looking for a career change to get back into sales, that older experience is more important. Unless you’ve done something extraordinary that could be a talking point in an interview, a recruiter won’t care what your golf handicap is, or that you enjoy reading. You can read more about including hobbies in a CV here. References aren't requested until a later stage of the application process. In addition, there's no need to mention "References Available Upon Request" at the bottom of your CV. A recruiter will already know this, and it makes space for much more salient information.